Mignon: The French word for ‘cute’ and certainly an apt description for the baby styles in this collection. 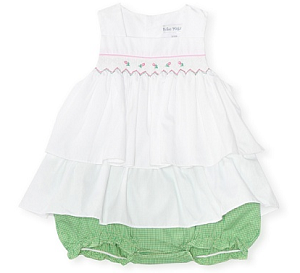 Gorgeous green shortalls and bloomers with snap closures offer easy on and off access. Seersucker fabric with floral and ocean-themed designs is perfect for summer. 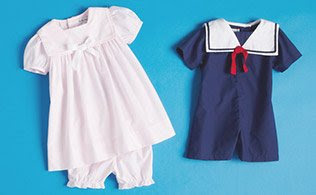 And a seriously adorable nautical romper will have your little one looking like a sea-worthy sailor in no time. This collection of everyday wear will take your baby from the crib to the beach and beyond.